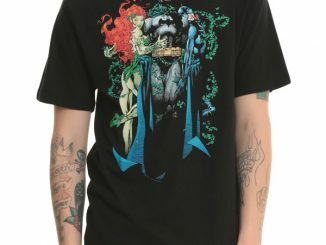 The Dark Knight meets Guardians of the Galaxy on the Batman Pretty Poison T-Shirt. 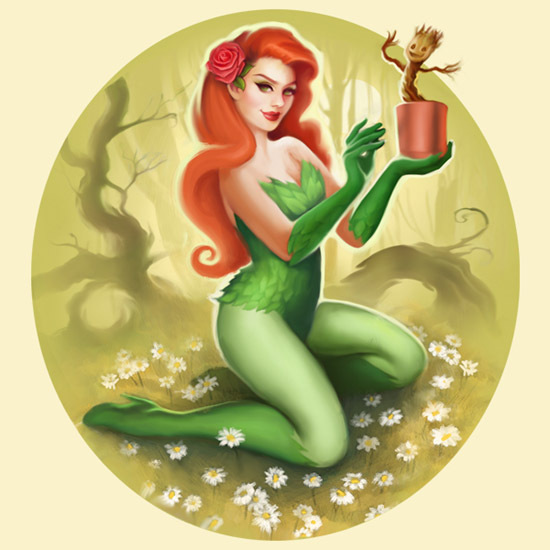 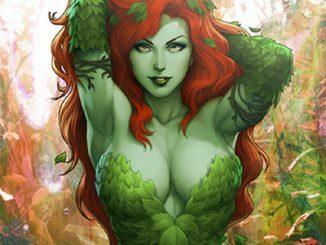 Poison Ivy might have a deadly kiss but she also has a green thumb, making her a great choice to grow the new Baby Groot. 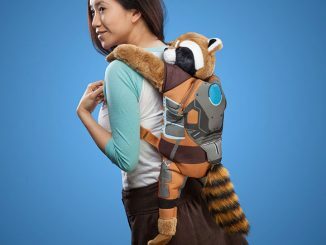 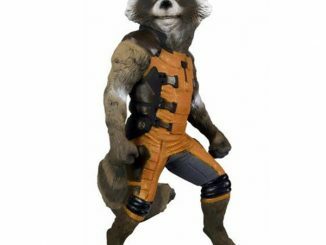 Hopefully, the lovable tree won’t start robbing the banks of Gotham City but he seems to have a pretty good moral compass since Rocket Raccoon hasn’t been able to corrupt him. 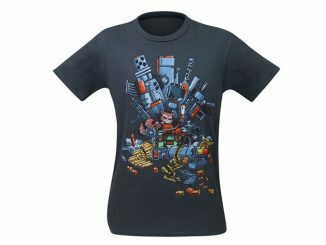 The design was created by artist Megan Lara and the shirt is made of 100% cotton. 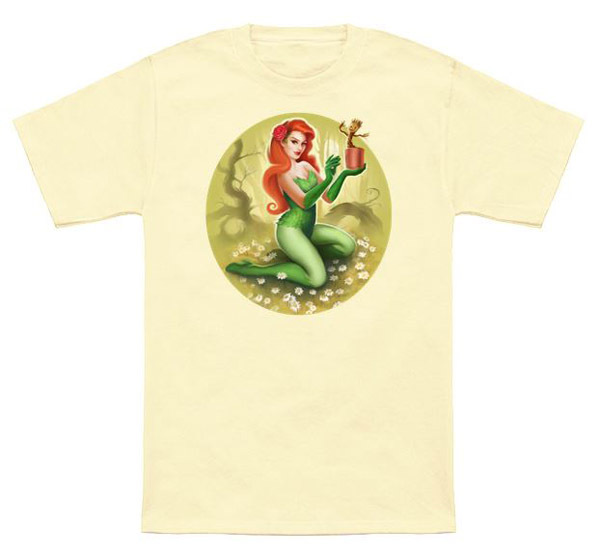 The tee in the pic is cream-colored but the shirt is available in a wide range of colors. 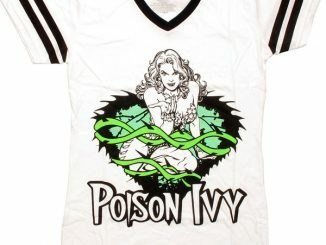 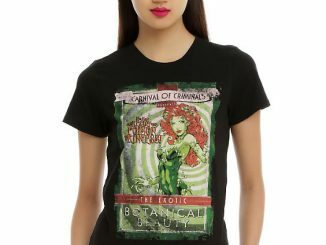 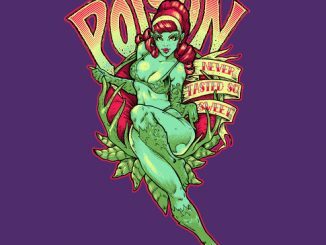 The Batman Pretty Poison T-Shirt is available for $19.95 at NeatoShop.